To better understand the crime of aggression and what it may mean for leaders, Justice Hub is publishing a three-part series of interviews on different aspects of this ‘new’ crime. Only a limited number of countries have signed up to allow this jurisdiction potentially to affect their leaders. And like everything at the ICC, there’s no retrospectivity, so former leaders like America’s George W. Bush and Britain’s Tony Blair, even if their countries had signed up to the Rome Statute and to the aggression amendments, would not be affected. But some people are saying that July 17 will mark what’s already a ripple effect – more and more countries experiencing the “stigma” of being potentially accused of illegally invading other countries, as Sheryn Omeri, a barrister at Cloisters Chambers put it. Justice Hub caught up with her at a recent IBA conference where she was presenting about a (failed) attempt in the United Kingdom to prosecute a leader for aggression. “I am a barrister called to the Bar of England and Wales. I was formerly a solicitor advocate in New South Wales working for the Aboriginal Legal Service, representing Aboriginal citizens in New South Wales charged with all manner of criminal offence and often made human rights related arguments because Aboriginal people, including in their interactions with the criminal justice machine in Australia, are the subject of all sorts of awful kinds of discrimination. I often drew on international law principles in that domestic law context. More recently I worked at the ICC on the case of Prosecutor v Al Faqi Al Mahdi,” is the way Omeri describes herself. Our interview with Omeri is edited slightly for clarity and published here as part of our #MyJustice series. To read the other instalments in this series, click here for the interview with Jennifer Trahan, a Clinical Professor at NYU’s Center for Global Affairs, and here for the write-up of our chat with Donald Ferencz, the Convenor of the Global Institute for the Prevention of Aggression. Justice Hub: Is it possible in the UK at the moment to prosecute a leader for aggression? Omeri: It is not possible. It was attempted in 2016 when an Iraqi General Abdul-Wahid Shannan Al-Rabat sought to bring a private prosecution for the crime of aggression against the then prime minister, Tony Blair, Jack Straw who was then Foreign Secretary and Lord Peter Goldsmith who was then the Attorney General, in respect of the decision to go to war in Iraq, as opposed to what happened on the ground in Iraq either during the war or later during the occupation of the south by Britain. Justice Hub: What is aggression in international law? Omeri: It is a leadership crime, committed by someone who is able to influence the military of the state, to commit an act of violence against principally the sovereignty of another nation-state, without a legitimate basis. For example in the case of Iraq, what the Chilcot report made clear was that [President George W.] Bush’s primary aim was regime change and Blair ultimately came to share Bush’s view and that’s an ‘impermissible’ basis for invading another sovereign state. Simply because you don’t like its leader and you want to want to get someone along who better suits your foreign policy aims, is not an appropriate basis for an act of violence against another nation-state. Justice Hub: What other things – apart from attempted regime change – might be considered an act of aggression? Omeri: Advancing one’s strategic aims. If one wanted to install oneself in a particular region, to have a base of influence throughout that region and saw that a particular nation-state might be weaker and less able to defend itself against that sort of action from a stronger nation-state, that might be another example. Or, in relation to chemical weapons, there are a lot of accusations about Russia trying to cover its tracks by not allowing the OPCW inspectors to get into Syria, trying to get rid of the chemicals or at least their chemical signature. But I wonder, to be very cynical, whether it may also be some of the other countries which have been involved in recent bombings in Syria, targeted specifically at chemical weapons development facilities, (styled as “a warning to Syria”), may also have been trying to cover up, for example, Britain’s interference in Syria in terms of supply of chemical precursors. Justice Hub: Why is it that we can’t put a British leader on trial for aggression? Omeri: It was attempted and it failed because the High Court agreed that there was an earlier authority called R v. Margaret Jones in which The House Of Lords had said that there was no crime of aggression in English domestic common law. The reason for that was because they said while there is this principle that customary international law, that is well established international law which hasn’t been codified in the form of a treaty but is a well-established principle, is generally accepted into English common law, that’s not the case for aggression. And they gave various reasons which I can elaborate on if you like. But the upshot of it is that the crime of aggression was not absorbed or accepted into English common law. And there is no legislation which would allow for a prosecution. So without legislation and without the crime existing in common law, you can’t bring a prosecution. Justice Hub: What did you make of that High Court decision? Omeri: I thought it was very poor and didn’t really engage with the legal arguments made on behalf of General Al-Rabat. Justice Hub: Can you see any possible prosecution today, to do with for example, Syria? Omeri: I don’t think so because General Al-Rabat’s application [for judicial review of the decision not to permit him to bring a private prosecution] was rejected on the basis of legal principle as opposed to the particular facts. But I’d be pleased to be wrong. And that would be a different prime minister in the dock, Theresa May, as opposed to Tony Blair. And that’s the point – the legislation needs to apply to all leaders going forward. So it shouldn’t matter your politics. The point is that if someone has committed what appears to be the crime of aggression, they ought to face the music. Justice Hub: So domestically they seem to have shut the lid on prosecution, what about internationally? Omeri: At the moment it’s not possible to prosecute any anyone at the ICC for aggression until July 17 this year, when the crime will formally fall within the jurisdiction of the ICC. Even then, a prosecution would only be possible if Britain ratified the aggression amendments. Based on what I’ve read about Britain’s conduct at the 16th session of Assembly of States Parties in New York in December last year, it doesn’t seem likely that it is going ratify the aggression amendments. If it doesn’t ratify the amendments, then it just won’t fall within the ICC’s jurisdiction to enable a prosecution. Justice Hub: Will this new crime of aggression at the ICC have much effect then? I think the effect of people becoming much more aware of how awful aggression is, has already happened. Sooner rather than later it is going to start being prosecuted somewhere in the world if not in Britain. 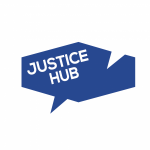 Justice Hub: Do you rate those arguments about humanitarian interventions and the difficulty that causes for prosecution? Omeri: Perhaps technically, because there is no specific carve-out for humanitarian interventions in the way the crime of aggression is currently drafted. So a state could mount an aggressive action against the sovereignty of another state, but do it for what it considers to be legitimate humanitarian purposes. But someone may come along and say well actually this meets the definition of aggression. And there is no carve-out like a self-defence or a defence of protection of others. But I think at the political level that would be something that the ICC prosecutor would take into consideration in an investigation. And it may be, even though it’s not set out in black letter in the Rome Statute, that the ICC would develop a jurisprudence that could create that sort of carve-out. It’s not the role of international institutions to stop humanitarian interventions; it is about stopping aggressive war. Justice Hub: Do you see there being a sufficient of a movement in Britain to try and change the law in Britain? No is the short answer. As I said at the very end of my presentation, I think that probably the vast majority of people in Britain don’t know what Britain’s stance on aggression is and probably assume that because Britain is a leader on the international plane, certainly in terms of human rights, that it has ratified the amendments and was in a hurry to ratify the amendments, which is not the case. The opposite is the case. I think there does need to be a public education campaign about this and about why it is important. It shouldn’t be a political one focussed on Blair or the Labour government of that time or of any time. It’s really not a matter of party politics, it’s about not creating unrest, victimhood, suffering, death in parts of the world where it’s simply not necessary.